Hello! 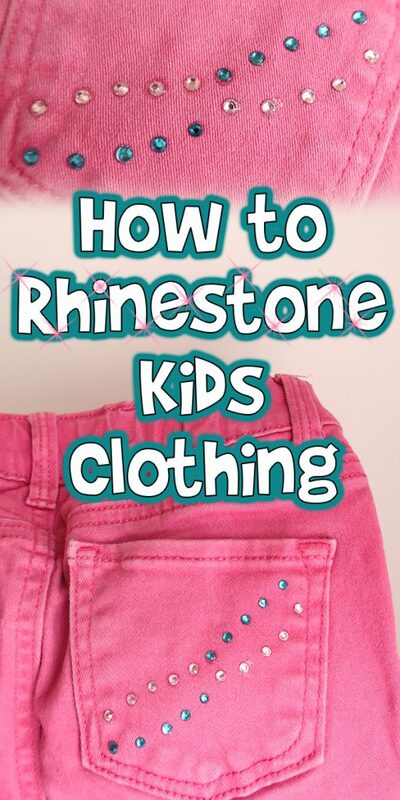 Today I’m going to teach you How to Rhinestone Kids Clothing! 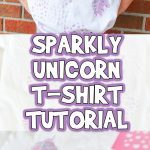 The techniques I teach here can be used to add rhinestones to jeans, shirts, hats, dresses, or other clothing. 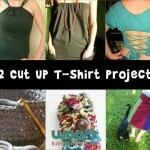 This is such an easy, heat free way to remake your clothes. 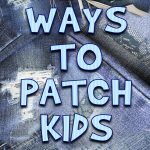 I’ve used the glue I recommend here on a variety of clothing, and it holds amazing after repeated washings as long as you follow the directions. Let’s get started! The piece of clothing you’re going to decorate. Rhinestones in your choice of colors. 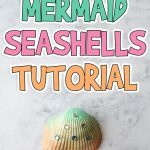 Start by squeezing some of your glue onto a piece of scrap paper. This glue stays wet for a long time, so don’t worry about it drying out in a large puddle while you’re working. 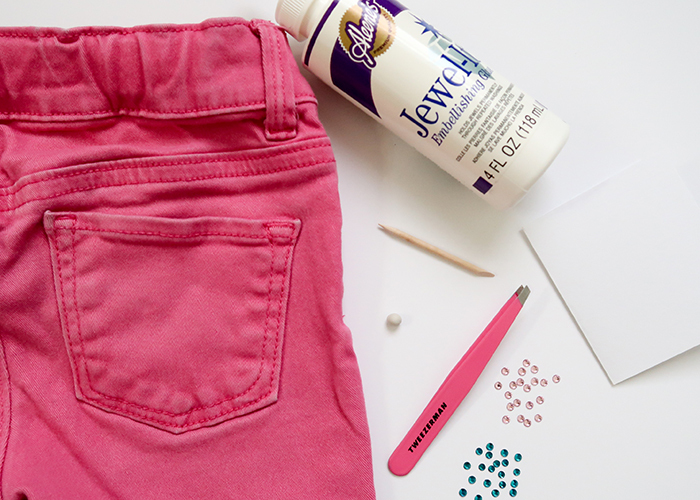 I find it helpful to have two different tools to work with rhinestones. The first I make myself. Just take an orange stick (or a toothpick) and wrap some stick tacky around one end! 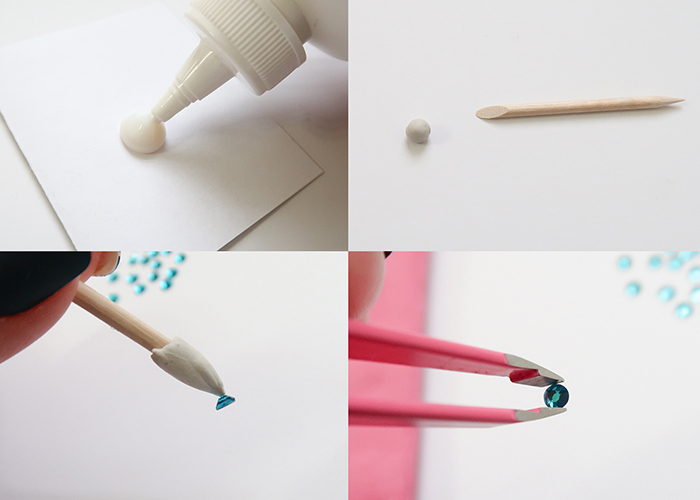 This makes a pick-up tool that’s great for placing rhinestones. Also, you can use a pair of tweezers. I end up using both often while working with rhinestones. 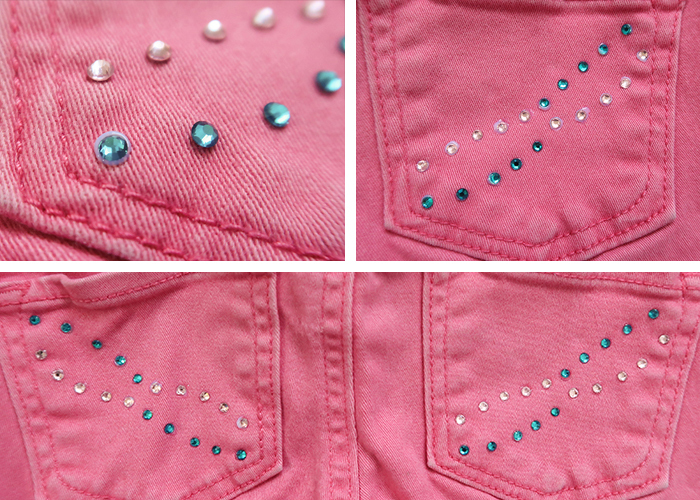 Before you even touch your glue, lay out your rhinestone design. I just created this simple design, but you can you get as creative as you’d like! I also recommend taking a quick photo of your design, just in case something happens… like your cat walking across your design when you leave the room. 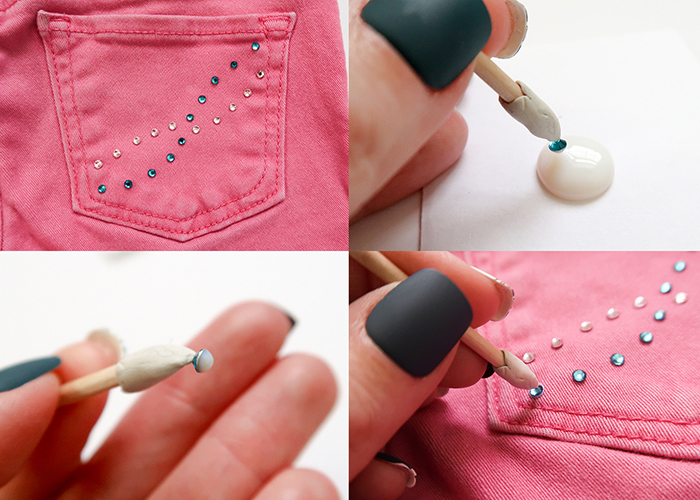 When your design is all laid out, pick up one rhinestone at a time, and dip the back gently into the glue. Then place it down where it goes, pressing it gently into the fabric so the glue rolls up around the edge of the rhinestone. Having the extra glue come up around the edges of the rhinestone is very important, as this helps keep it from coming loose. Go ahead and glue down all your rhinestones one by one, until they’re all secure. You’re all done! Now here’s the important part! 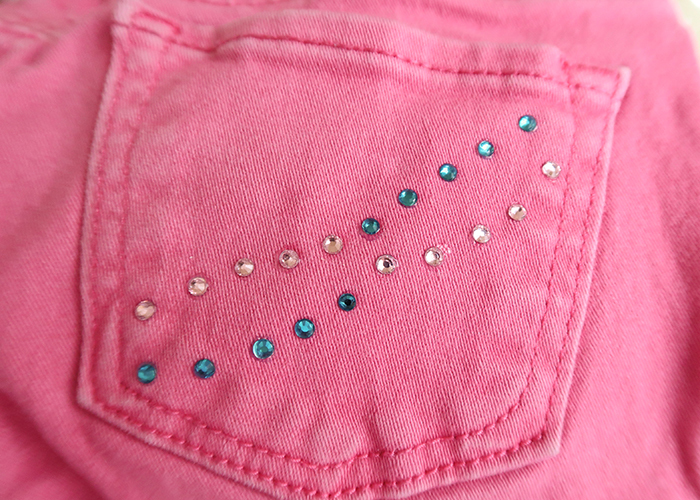 Wait at least 24 hours before wearing, and 7-10 days before washing your rhinestoned clothes. I also recommend washing in cold water on the gentle cycle for the best results. 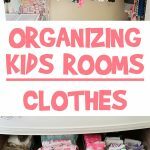 I hope you enjoyed learning How to Rhinestone Kids Clothing with me!